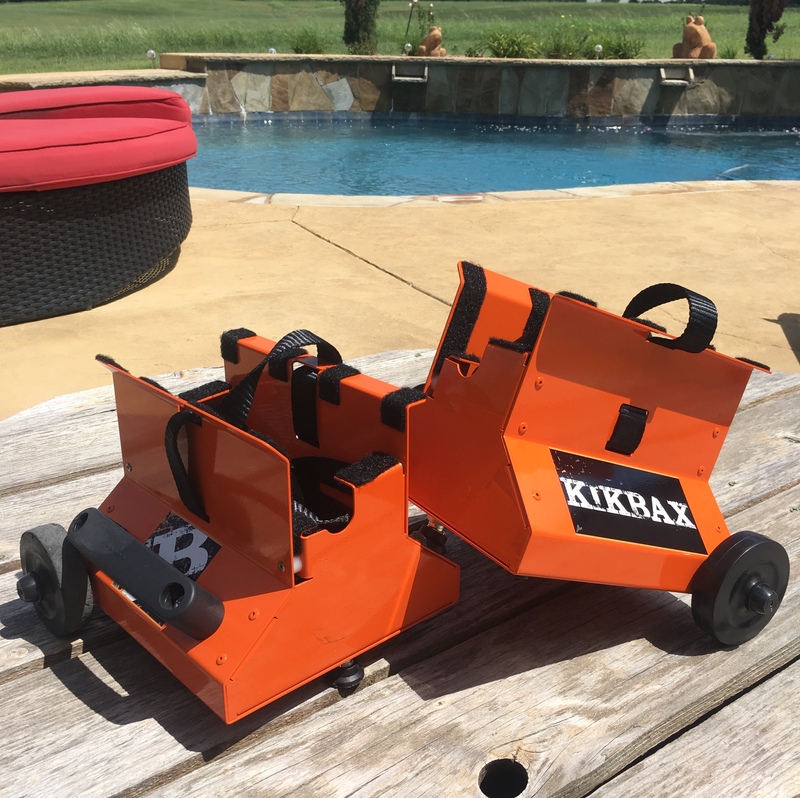 Kikbax brand new product, the KikStand!!! Unlike anything on the market we accompish so much with so little. Sold in pairs, the KikStand is bound to make your life easier, both on the trails and at home!! 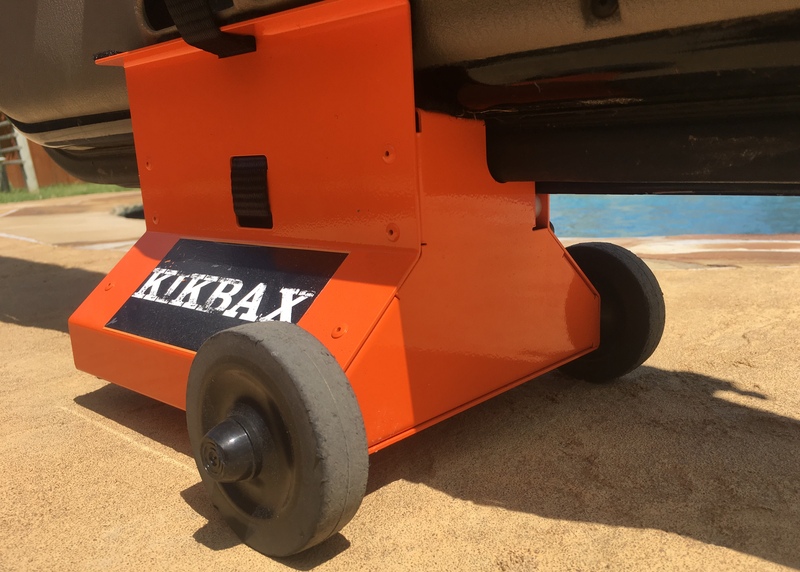 After 4 years of selling out Kikbax - Foot Pegs With Benefits - We are so excited to introduce yet ANOTHER innovative and out of the box, patent pending, product. 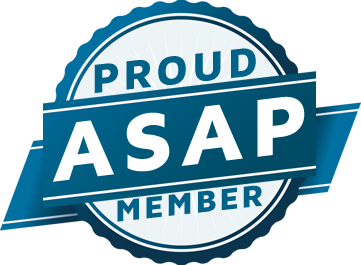 Other products do a portion of what our KikStand does, but nothing does it all like the KikStand. PLEASE SHOP AROUND AND SEE FOR YOURSELF!! -Keep you doors stored upright; not leaning against a wall. -Mobile for use on trail rides or vacation/hotel storage. -Sold in 2 Door pairs. 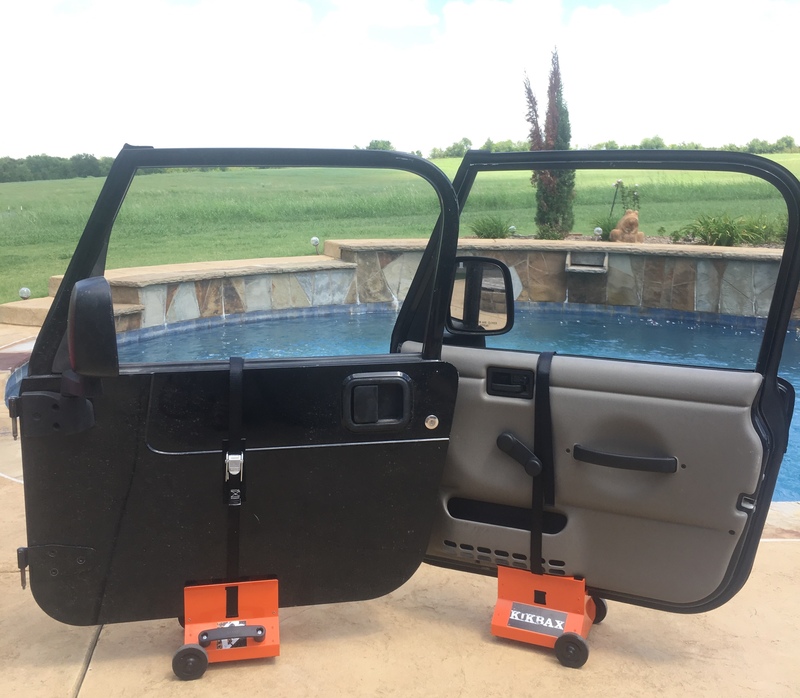 -Compatible with full or soft half doors. -Robotic Laser cut Steel Construction. -Outer shell with two end caps, 16 rivets guarantee strength. -Soft side of Velcro to prevent paint damage. 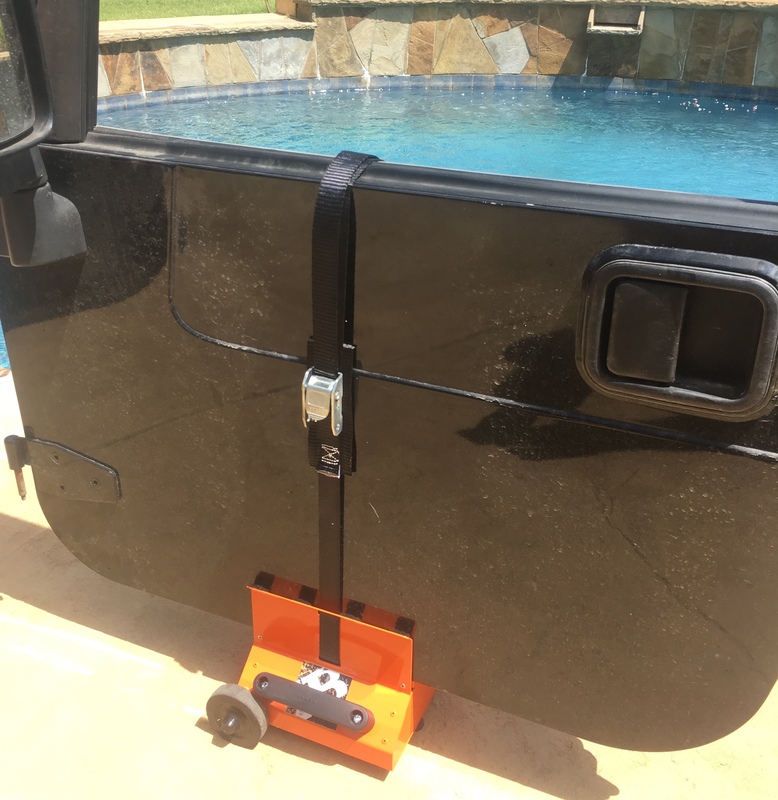 KikStands are designed to store your doors upright and off the ground. 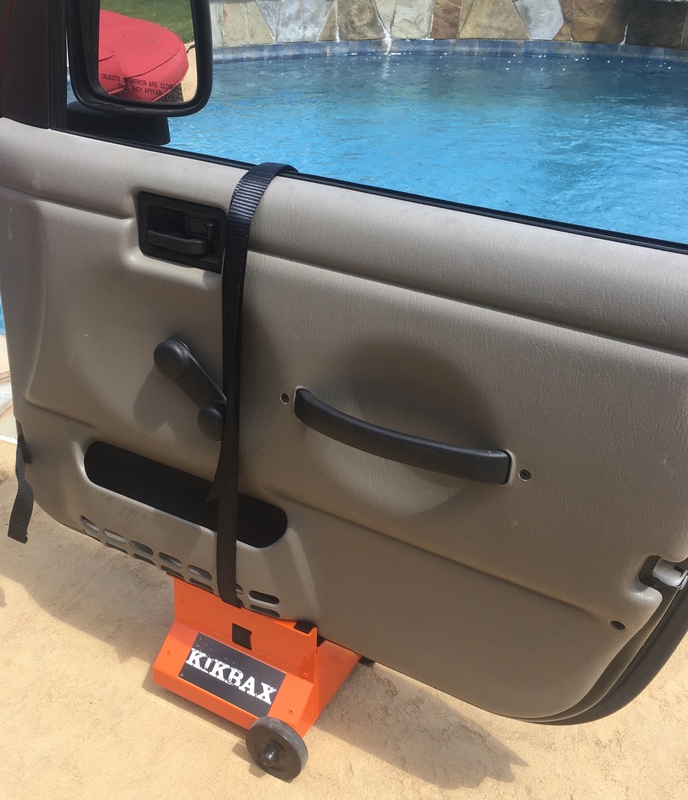 While KikStands keep your door stored safely, they CAN tip over if pushed or nudged hard enough. (Rear doors are more susceptible to tipping over than front doors due to their shorter length) Please use caution when choosing your doors storage location.